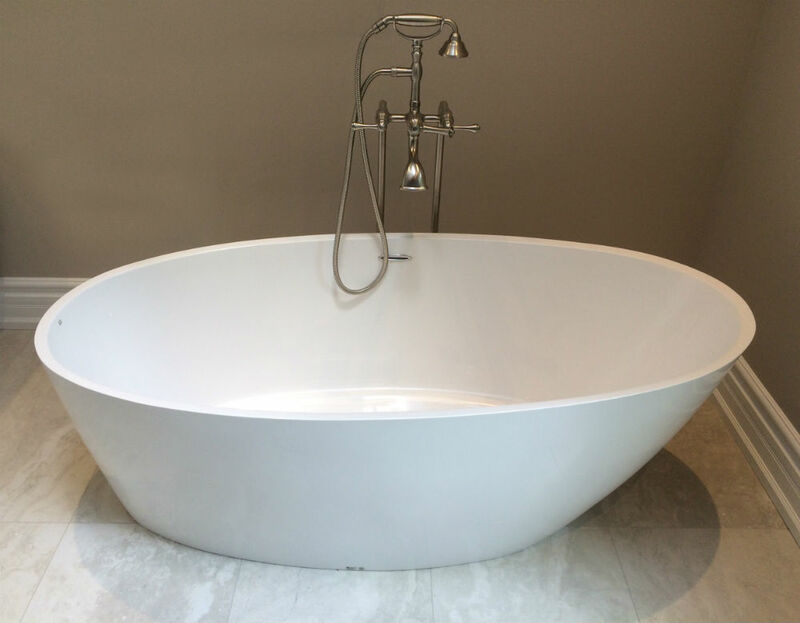 Toronto Custom Concepts completed this freestanding tub renovation last month. The standalone tub is a beautiful Victoria & Albert bath tub with a nice Staffordshire faucet. Installing a freestanding tub is sometimes easier said than done. We have successfully installed dozens of these freestanding tubs in tight corners and areas. Their contemporary look offer an amazing centrepiece to any bathroom renovation. Ask us about our experience in installing freestanding tubs.